How are you breathing today? Join me in a virtual living room to breathe with us — experience the stories of movement leaders, artists, and activists calling us to courage. After the election, our warrior-sister America Ferrera shook off despair and co-founded HARNESS to bring together artists and activists on the front-lines of the movement. 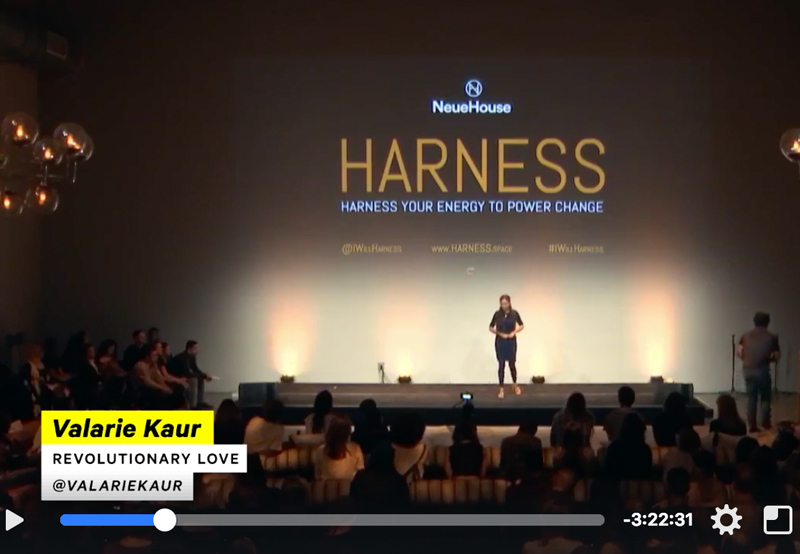 She invited me to deliver the keynote at the last HARNESS event in Los Angeles. I received far more than I gave: The stories of the panelists made me laugh and weep, and I was breathing deeply, in community. At 2 hours 48 minutes, listen to the story of Sudanese American Areej Ali who has lived in the US since she was ten years old. She was traveling to her sister’s wedding when the first Muslim Ban went into effect. She was detained in Saudi Arabia and LAX — and has now found her voice to speak out. Because when we breathe together, we dream together.